New minimum standards have been established to foster consistency within the community at each rank from Recruit up to the Vice Admiral. As we grow in numbers so does the disconnect between each squad, branch, division. The goal is to reduce this disparity so that at each rank, members will know certain operating knowledge regardless of where they are in the ranking structure. To be clear, this does not dictate what your own personal standard should be for yourself or even should be, you should set your own bar high whether you are a CPT or RA or other officer. However we established these standards and expect members to know that standard at each respective rank. Officer Ranks that are responsible for interviews (LT to Admiral ) should dedicate this information to memory as each member you give an interview to will be expected to know information and in certain cases have the requisite experience to meet these minimum standards in addition to the standards set forth by your CPT, your RA, VA, A, or FA. Also to be clear that we want our CPTs to analyze and critically think to develop solutions to problems and if a solution to a problem would in some way conflict with these minimum standards or time protocols for promotion then go through the proper channel and attempt your solution however you will be held accountable to these standards if you do not correct your mistake. For example, if your branch is low on LTs and leadership and you believe that a current MC would make a great leader and great LT however that MC has not created a proven record of properly recruiting members into the branch, you may go outside the standards and promote this member. Be certain that you inform your commanding officer and make sure that if your solution to the problem proves unworkable you are responsible for reversing a decision to take an action that conflicted with the minimum standards. The following are the minimum standards set forth at each rank. 1. There is no cheating as defined by Xbox LIVE’s Terms of Service. 2. When you are a part of us you cannot be part of any other gaming community on Xbox LIVE. 3. No racism, harassment or discrimination. This includes sexism, and age discrimination. 4. No disrespect. This includes T-Bagging, over-killing bodies, and trash talking of any type. Show respect to all gamers. This includes members of our gaming communities or teams on Xbox LIVE. 5. You can request a Gamer-tag. 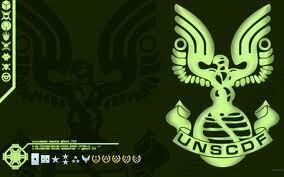 Requirements: 3 continuous months and achieving the rank of Sergeant , or achieving the rank of Master Chief or higher. 6. We remain neutral with all other gaming communities. No enemies. 7. Do not promote illegal drug use with any member on Xbox LIVE. 8. No Drama. We have a low tolerance policy with drama and immaturity . 9. You may only have one account in 137 at a time unless you are above the rank of Captain. 10. All members of the clan must register a profile on the website and and must accept the terms of service, and in game rules and regulations before being eligible for the rank of Private . The PVT must know all ranks to Fleet Admiral and must know the appropriate ranks. The SGT must know and be able to give a recruiting speech competently and know that they cannot recruit without a MC or higher to oversee the recruiting speech. The SSGT must know and give a perfect recruiting speech to be promoted to MC. The MC must prove that they know how to handle difficult situations of drama and other episodes involving lower ranking members, this can be through hypothetical questions or actual examples of dealing with drama. The MC must also have a proven record of recruiting members into the community. The CMDR must know protocols for setting up a branch split the CMDR has to be evaluated and must be deemed to be a leader, simply knowing knowledge won’t make you a good CPT you must be able to critically think about situations within your branch and find appropriate solutions. Know the position and what is expected at the position.